Google has added to its public cloud infrastructure for developers, Cloud Platform, with a new service that allows app writers to set up functions that can be triggered in response to events. The new Google Cloud Functions has drawn comparison with the Lambda offering from Amazon Web Services (AWS). The service was not announced to the public, but news filtered out after documentation began to appear on Google’s web site, offering advice to developers. According to the briefing notes, Google Cloud Functions is a ‘lightweight, event-based, asynchronous’ computing system that can be used to create small, single-purpose functions in response to cloud events without the need for managing servers or programming in a runtime environment. Access to the service is available to anyone who fills out a form on the web site. Google’s answer to AWS Lambda is the latest attempt to catch up with AWS by filling in the omissions in its own service. 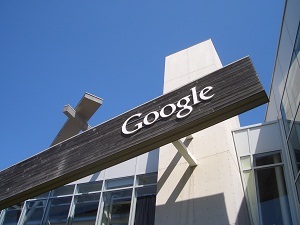 In September 2015 BCN reported how Google’s Cloud Platform is being sped up by the addition of four new content delivery networks, with CloudFlare, Fastly, Highwinds Network and Level 3 Communications adding to Google’s network of 70 points of presence in 33 countries as part of a new Google CDN Interconnect programme. Google has also bolstered its cloud offering with new networking, containerisation and price cuts, BCN reported in November 2015. Google has also recruited VMware cofounder Diane Greene to lead all of its cloud businesses, as reported last year. The prices for Cloud Functions were not listed, as the service is still in Alpha mode. Meanwhile a new start up, Iron.io, has raised $11.5 million in venture capital to develop its own answer to Lamba and Cloud Functions. Microsoft is also rumoured to be developing its own version of Cloud Functions for Azure, according to a report in Forbes.